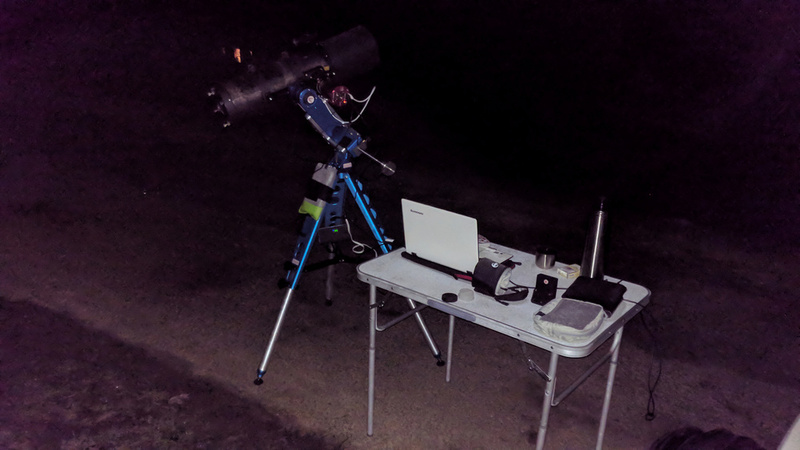 In order to complete the Messier Catalogue and capture all of its deep space objects, I have to pack the telescope, mount, camera, cables and batteries and set it up somewhere in the nature with better view. Most of the objects I am able to capture from home, but some of them have very low declination (not far above the horizon) and I cannot see them from my terrace, because there is a hill direction south. 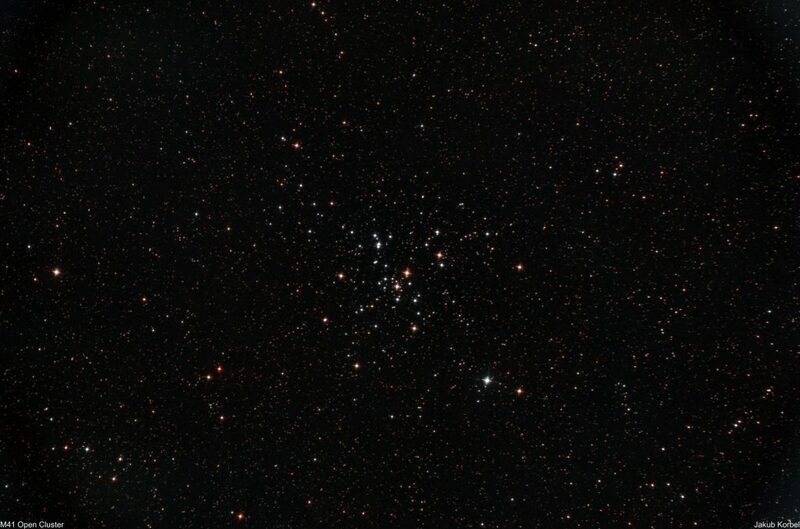 Messier 41, open cluster in constellation Canis Major is one of them. So, I packed my car and went to collect some photons. At least I got the opportunity to test my new mount Avalon M-Zero, which replaced my previous portable mount iOptron CEM25P. The old portable mount was working well, but due to conventional equatorial design, one needs a counterweight, which was in this case 5 kg. This means 1/3 of the total weight. M-Zero is basically single fork mount, which utilizes the weight of the motors and housing as a counterweight. Moreover, M-Zero uses belts and pulleys, which means zero backlash. I can confirm – it works very well. I can save few kgs in my case during my next travel expedition. The night was cold and since I don’t do the astrophotography in the nature frequently, I faced some issues. First, the portable telescope lost the collimation and I didn’t have the laser collimator with me. Second, I started to photograph before the telescope reached the thermal equilibrium, therefore there was a focus drift. This is definitely not my best picture, but I can at least check another Messier object from the list.